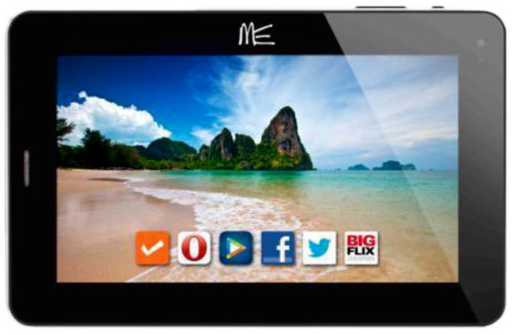 So we have a new tablet in the ME series by HCL which has been named as HCL ME Connect 2G 2.0, now don’t go by the name that it will only have 2G support infact you can use 3G but by the help of 3G dongle which is supported by this tablet. Moreover it also have the calling option which makes this device more dearly to the readers. It is a standard tablet with the screen size of 7-inches and with the resolution of 800 x 480 pixels on your display and then powered by 1GHz processor which is based on the ARM architecture of Cortex A-9. The price of this tablet is decently placed at 8,499 INR and please keep this price value in mind while taking a look at the rest of the specs. This processor is further supported by 1GB DDR3 RAM which is really good especially when in most of the cases we tend to see 1GB DDR2 RAM. Now when it comes to camera then you will a 2MP camera at the back and a VGA (0.3 MP) camera in the front. Now it has got a SIM Slot for you but you will only be able to use 2G data with the help of that SIM service, in order to use 3G as mentioned above you will have to choose the dongle service and you can also use the SIM for the calling purpose (to which most of the users look forward at). It also has the internal storage capacity of 4GB and which can be extended up to 32GB with the help of external memory card slot. The 3800mAh battery for this tablet is decent enough for the intense usage for a day and actually all the specs mentioned for this tablet are really good on paper considering the point that it is available for just 8,499 INR and you can buy the same from Snapdeal. I just came to know about this tablet shortly which one of my friend is using since 2 months. It is really a cute and impressive set. The processor is quite faster. But one demerit is it don’t accepts BSNL 3g dongles.